By this point there will undoubtedly be people reading this that are thinking “Yes, that is all very well but what about XXXX breed? 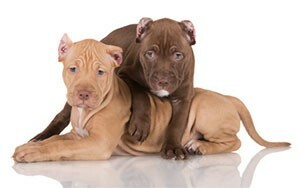 They are bred to be vicious and fight”. 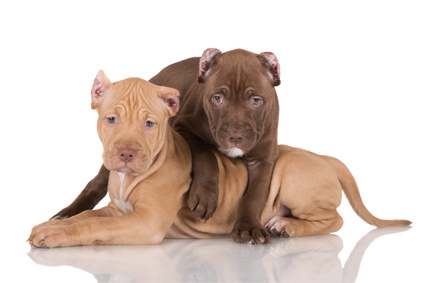 Most likely these people will be considering so called “dangerous dogs” type breeds such as American Pitbulls, or other pit bull “types”, Rottweiler’s, Doberman’s, German Shepherds or perhaps smaller dogs such as Staffordshire Bull Terriers. My reply to this will need to be separated into a number of parts. Firstly, the breed plays no significant role in the propensity of the dog to attack and is key reason why breed specific legislation is always misguided. This fact has been established by responsible government bodies such as the Centre for Disease Control (CDC) in the United States of America. There are a number of good books on this subject and my suggestion would be to buy and read one. Secondly, although fighting dog breeds have been bred for certain physical characteristics they are no more dangerous than any other dog of similar physical capabilities. To be more explicit, a fighting breed is often bred to have a large head and powerful jaws. The jaws of the dog possess a bite strength in direct relationship to the size of the muscles powering them. If a dog has large head and powerful jaws, when compared to its size, it will give a more powerful bite than an equivalent dog of the same physical stature. In dog fighting this would give such a large headed dog an advantage and this is the reason why this physical characteristic has historically been bred for. This information about jaws and biting must be taken in context. Any large, physically powerful dog can give a nasty bite, especially if it lacks a responsible owner and proper training and socialisation. Larger teeth simply mean a deeper penetration of the bite; they do not signify an increased likelihood of the dog administering such a bite. Again, this is backed up by the facts, rather than media driven hysteria. There are a large number of contributory factors that will come together to increase the likelihood that a dog can be considered to be dangerous. Perhaps the single most important factor amongst these is irresponsible dog ownership. Irresponsible and cowardly individuals seeking a large or fighting breed dog to buoy up their manhood will often encourage a dog to show aggressive tendencies. Over time the dog will learn that showing aggression is an activity that earns it a reward and true to the style of Pavlov’s dogs that aggression will become an ever larger part of the dog’s life. Dogs kept for such purposes are often kennelled and kept out of the home which results in a dog that is even more poorly socialised otherwise might be the case. When dogs such as these are left unsupervised with young children it is a recipe for disaster. The child, who will likely be used to well-socialised animals, will not understand the danger that it is in and so will not withdraw when the dog started to issue threat signals (growling or similar). The dog on the other hand will only understand that aggression gets it whatever it wants and so when the child fails to withdraw the threat display will only increase, eventually resulting in a full blown attack. Clearly it is not the child who does not understand the danger that they are in. Similarly it is difficult to blame the animal who is behaving in a manner that is has been taught by its owner is the way in which it should behave. I suggest that the fault lies with the irresponsible owner who failed to train the animal in a socially responsible manner. Leaving any animal alone with children is a risk. Animal behaviour is never 100% predictable and where a dog has been taught to be aggressive and behave in a vicious manner the risks increase exponentially. Banning the so-called dangerous dogs breeds will not solve this problem. The Dangerous Dogs Act 1991 clearly did not solve this problem. What is needed is a law that addresses the problems created by irresponsible dog ownership and which does not place a placebo responsibility upon the breed of the dog. Apart from the obvious considerations of sheer physical size there are no truly dangerous dogs, merely dangerous and irresponsible owners.